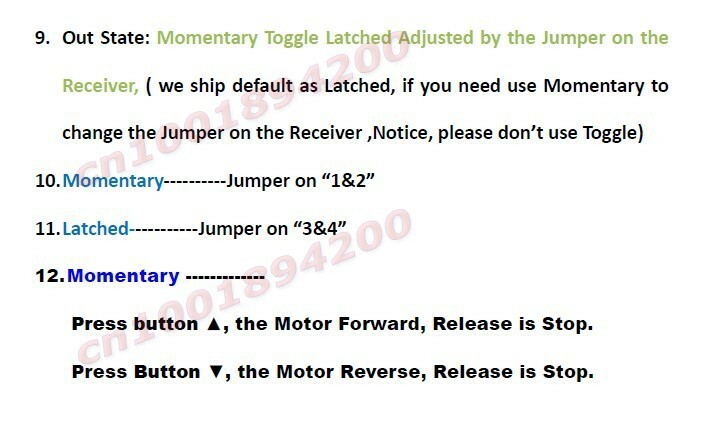 Press button"Up", the Motor Forward, Release is Stop. 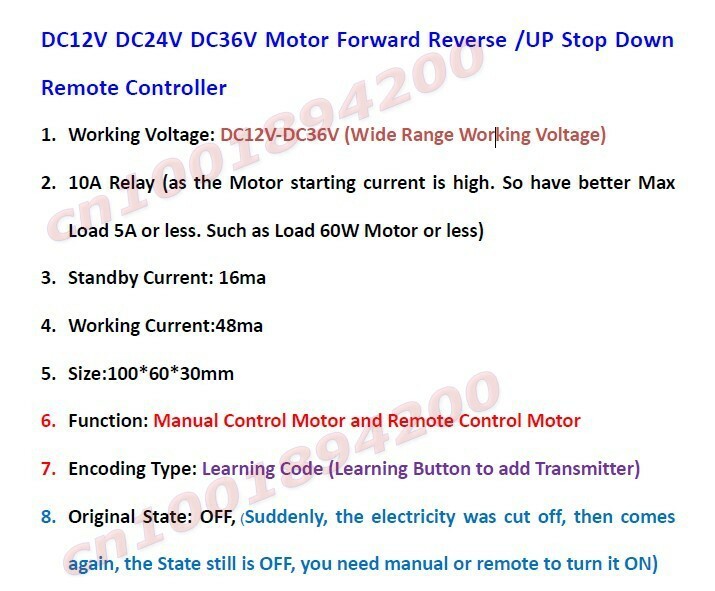 Press Button "Down", the Motor Reverse, Release is Stop. Press button "Up", the Motor Forward, Press Button "Stop" is stop. 7. 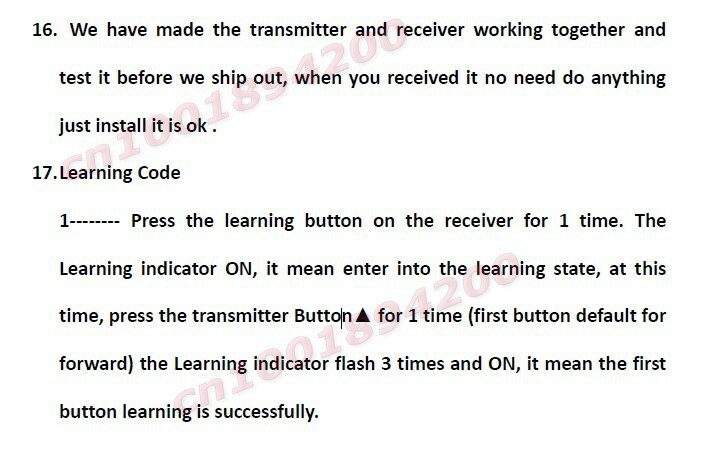 If you don’t need wire the Limited Switch, you need connect the UP Down and COM with a Line, we have connect it before we ship out ,if you need use it take away the line that is ok.
8. 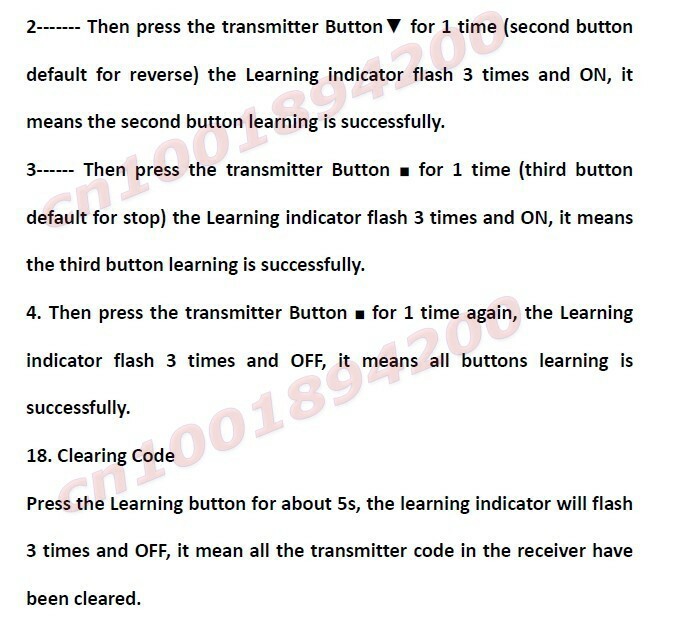 When the receiver output state is “Latched”, we have set it 0.5s time delay for forwards and reverse, it is the Protection function.